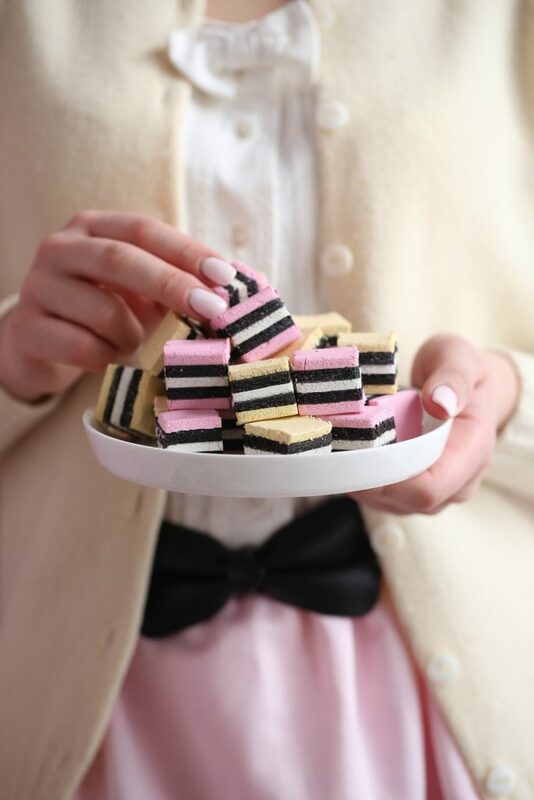 English licorice, or licorice allsorts, is a classic, old-fashioned confection. 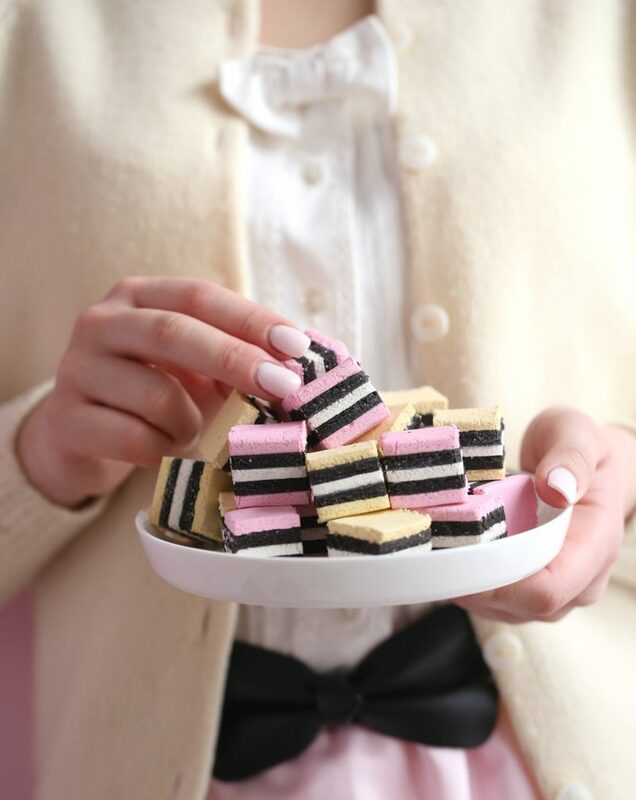 I just love the ones with coconut and black licorice – one bite and I am in heaven. Luckily these delicious confections are easy to make, and my version is made from almonds and coconut. I highly recommend waiting until the next day before tasting; after a night´s rest the consistency is firmer and the flavors have had time to come together. For the black licorice, I use salted licorice syrup and raw licorice powder, it is important you use one that tastes great. Put the blanched almonds into a food processor and pulse until very finely ground. Add the powdered sugar and pulse until well blended. 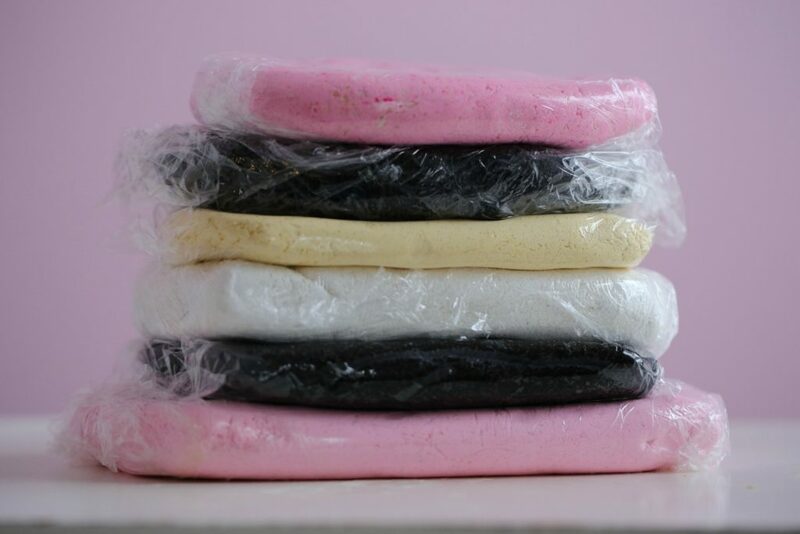 Add the vanilla paste, egg whites, and food coloring. Pulse until the color is evenly distributed and the dough is very smooth. Dust your work surface with powdered sugar and roll out to a depth of about ⅛ inch (1/4cm), making sure it is smooth and even all over, Use a smoother if necessary. Cover with a sheet of baking parchment to prevent it from drying out. 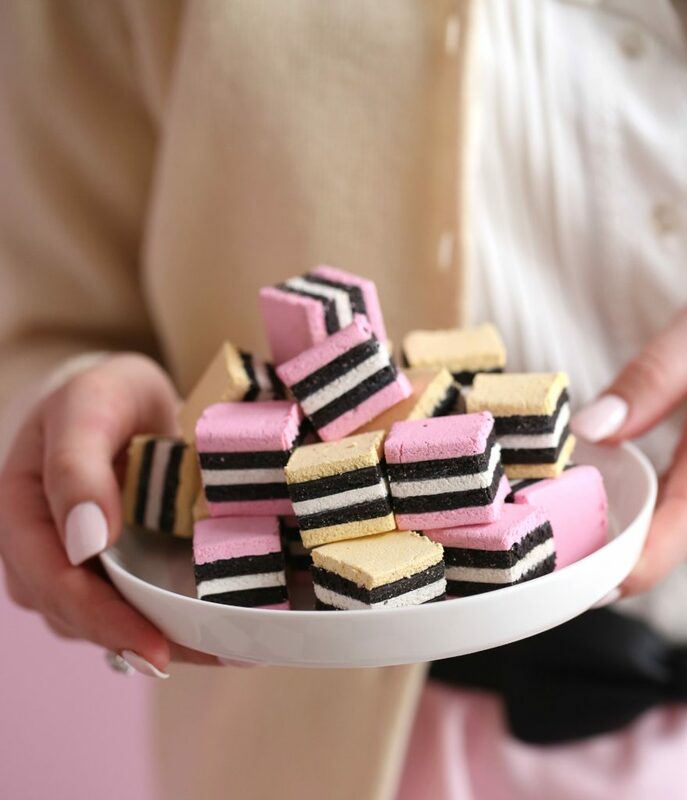 Make the black licorice layer, the same procedure as described for the pink layer, with a few minor changes, instead of using vanilla, add salt licorice syrup ( depending on the taste of your salt licorice syrup add just one tablespoon to start with) add raw licorice powder and proceed as the one in pink. 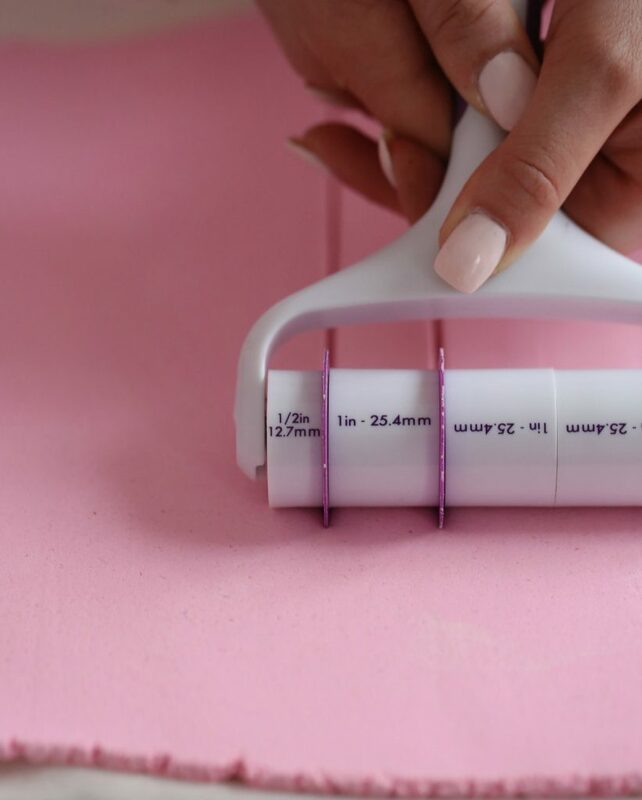 Roll out to a depth of about ⅛ inch (1/4 cm), making sure it is smooth and even all over. Use a smoother if necessary. For coconut version, add the coconut when the almonds are finely ground and proceed as described above. 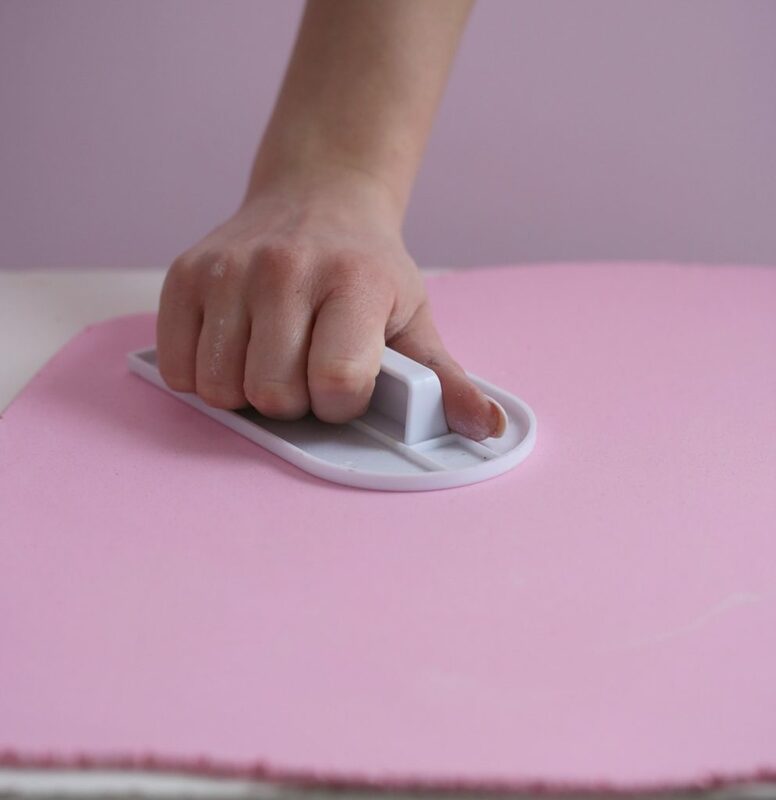 using a Smart Fondant Ribbon Cutter. 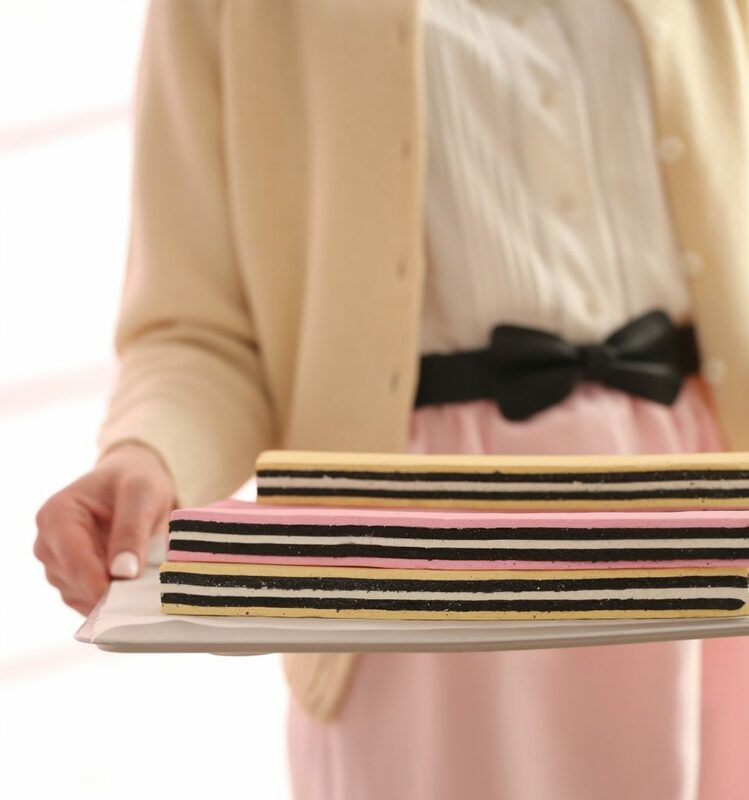 Choose five strips, for example, two pinks, two black and one white. 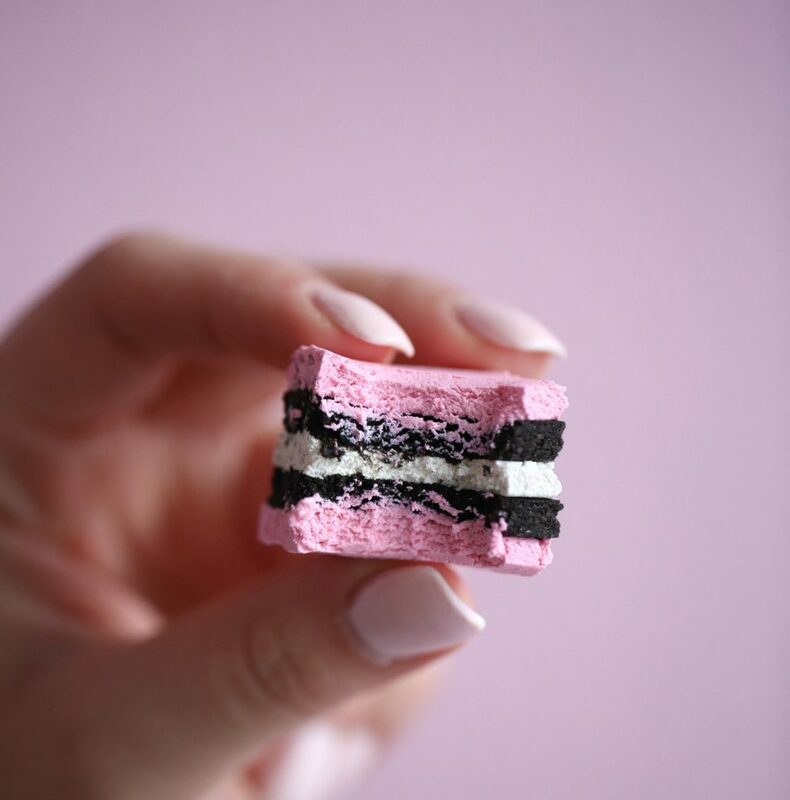 Brush a little water onto each strip before sandwiching together to make a pile of five layers. 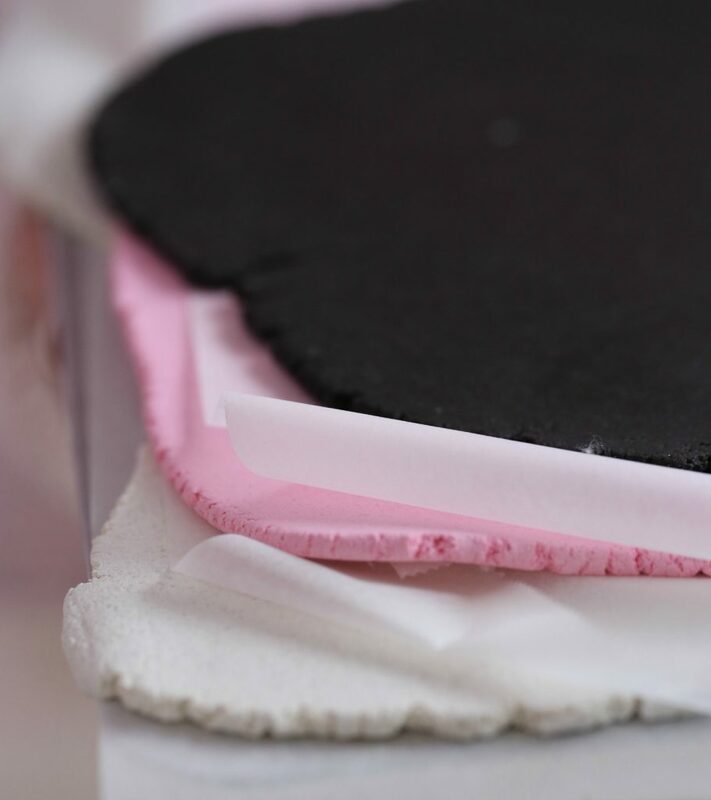 Gently press the layers to make them stick together, making sure the edges are even. Leave to dry overnight, slightly covered it with plastic wrap. On the next day, cut into squares and enjoy.